Urus Majlis Syedna Taher Saifuddin RA was presided in Al Jamea Tus Saifiyah live from Mumbai. After Majlis niaz jaman was serve in mohallah jamaat Khana. Uniform Inspection DIV 3 was held after the URUS Majlis of Syedna Noor Mohammad Norruddin RA. This inpection was taking by Mulla Shabbir Abdeali Gohar and Mulla Ali Asghar Aman. Zikra 1440H Majlis was relayed in 3 Centres: Al-Jamea-tus-Saifiyah Taheri Masjid Yousufi Masjid More than 600 Burhani Guards and Scouts were performed duty to facilitate community members in traffic flow, parking and sitting arrangements. 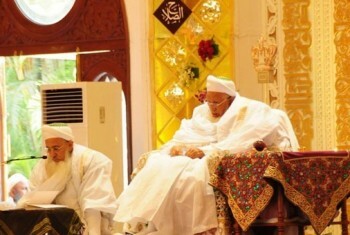 Urus Majlis Syedna Taher Saifuddin RA was presided by Amil Saheb Janab Mufaddal Bhai Saheb. On same night mohallah also held Wada majlis of Amil Saheb Janab Mufaddal Bhai Saheb. Winter drive to provide jackets/hoodies, shawls and blankets to people in need. Reporting time for Milad Imam uz Zaman Majlis Duty was 07:30 pm. Members were allotted their respective duty points. Members performed various duties like Handicap, Masjid Security, Parking and Flow Management . Salawaat Jaman was served after Majlis .